GANGNEUNG, South Korea, Feb. 5 (Yonhap) — South Korea’s national short track speed skaters arrived at the Gangneung Olympic Village on Monday, four days before the opening of the PyeongChang Winter Olympics. Short track speed skating has long been one of the most popular winter sports in South Korea, which is the only country to have won at least one short track gold medal at every Winter Games since it became a medal sport in 1992. Five male and five female skaters from South Korea will compete at the 2018 Winter Games. One of the most prominent athletes is Shim Suk-hee, the women’s team captain who anchored the 3,000-meter relay team to the gold medal in the 2014 Sochi Winter Olympics. Shim also captured a silver and a bronze in the 2014 event. 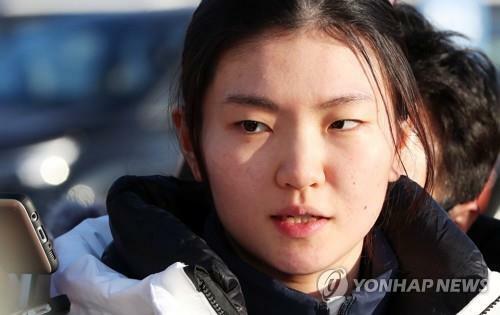 Being one of the key South Korean athletes under spotlight, maintaining composure has been a major challenge for Shim, especially after she was assaulted by her coach during training and temporarily left the Jincheon National Training Center. “Since this is the final stage of training, I plan to finish preparations without getting injured,” Shim told reporters on Monday upon arrival at Gangneung village. Shim said her team has been making thorough preparations, especially in the women’s 3,000m relay. Concerning Chinese athletes, Shim said the South Korean team has been training under extreme scenarios to better cope with the rivals’ aggressive tactics. 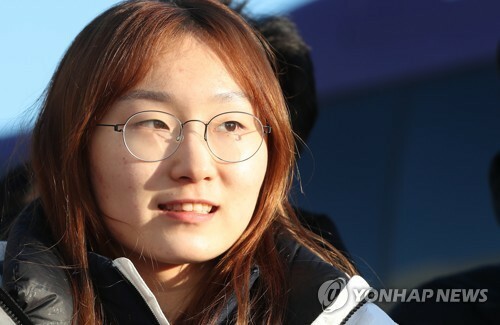 Choi Min-jeong is also one of the strongest contenders at the 2018 Winter Games. She will go for a complete South Korean sweep of gold medals in the 500m, 1,000m, 1,500m and 3,000m relay together with Shim. Choi is entering her first Olympics on a roll. She ranked first overall in the 1,500m during the 2017-2018 World Cup season after winning three of four races, and finished second overall in both the 500m and 1,000m. “I will be satisfied with any result as I have been trying my best in training,” Choi said, claiming that all events will be equally important for her. Sports Illustrated recently predicted that Choi would pick up gold medals in the 500m, 1,000m, and 1,500m. And Choi herself said if there are any possibilities, she believes it is right to do her best to make it happen. The national team will start its training on Tuesday.